S.M.A.R.T : Specific, Measurable , Attainable, Realistic, Timely, is what would define “Mines of the Future”. Disruption & Digital Transformation is reality now and Mining is going through one of the most intense periods of change and transformation. As mines move towards advanced digital technologies to support safer and more productive mines, implementation challenges continue to persist. Online Registrations will close soon. Book your place now! WHAT WILL YOU EXPERIENCE AT SMART MINING 1.0? Who will you Smart Network with? To ensure “SMART MINING 1.0” offers the highest degree of relevancy for attendees, only senior executives responsible for providing strategic leadership and guidance are invited to attend. This exclusive format allows you to connect with executives through exceptional networking, business meetings and strategic information sharing sessions. 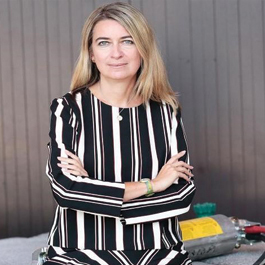 Tara Mulrooney is an innovative and results driven executive who is currently leading the digital transformation for the Alberta Energy Regulator as the Chief Technology Officer (CTO). 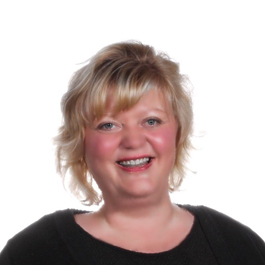 She started her career in the software industry transitioning to public sector with the University of Calgary and in 2011 to the AER, Tara has been recognized for digital leadership by IT World Canada, the Canadian Public Relations Society, Open text Elite and the John Zachman global architectural awards. The recent success that the AER has realized leveraging their “ONESTOP” platform are an underpinning of regulatory excellence within the oil and gas sector and are being recognized internationally as transformative. Elena is Ontario licensed corporate lawyer and worked at one of Canada`s top law firms, focusing on corporate law and issues pertaining to the mining industry. As a result, she developed a passion for mining and decided to pursue an International MBA at Schulich School of Business specializing in the Global Mining Management program (GMM). 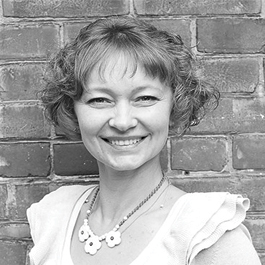 Elena is an active member of the industry’s organizations and has been writing for various mining publications such as PDAC Core Magazine and the Northern Miner (Special Advisor to the Editor). While still a student at Schulich, Elena used her personal funds to found Women Who Rock, an organization which aspires to become an integral part of the sector’s efforts to attract women to mining. Elena received various industry recognitions, chief among them, in 2015, she was named one of the 100 Global Inspirational Women in Mining. In her current position as Client Relationship Senior Manager at PwC Canada, Elena holds a key position in planning and executing the mining practice development strategy in Canada and Latin America. As a young business leader she designs, leads and contributes to the highpotential market exposure activities. In addition to being fluent in English, Spanish, Russian and Hebrew, Elena brings to her position a wealth of cultural and business experience gained from living, studying and conducting business in Europe, the Middle East and Latin America. Daniella is a Partner of Sprott Capital Partners. Previously, she served as President and CEO and as CFO of Orvana Minerals, a multi-mine gold/copper producer, and as Executive Vice-Chair of Baffinland Iron through its acquisition for $600M following a hostile take-over bid. She also served as COO of Dundee Securities and in various corporate development roles including with Dundee and Raymond James. Daniella is currently a director of Nexa Resources, International Petroleum and Excellon Resources, has been a director of Aldridge Minerals, Alloycorp Mining, Orvana Minerals, Baffinland Iron (Vice-Chair) and Commonwealth Silver (Chair) and has chaired or been a member of various committees of such boards including Technical, EHS, Strategic Opportunities and Special Committees. Daniella has a Global EMBA from Kellogg School of Management and Schulich School of Business and a law degree from Windsor University. She was chosen as one of the top 100 Global Inspirational Women in Mining for 2016, is a Canada Board Diversity Council – 2016 Diversity 50 Candidate and speaks frequently on various topics including talent management, capital management and governance. 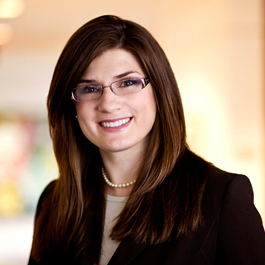 Susan Sharp is a Director in PricewaterhouseCoopers Digital Services practice. She is a versatile, performance-driven professional with over 25 years of experience in front office transformation in financial services, industry, government and technology. Her expertise includes over 18 years of technology, banking and mutual fund experience with a focus on customer and employee experience. Susan’s focus is on the creation of quantifiable business value through the implementation of customer centric programs. Her experience spans across the sales and marketing disciplines including strategy, planning and human-centered design. She has held senior strategic roles throughout her career where she’s had broad experience leading teams through strategic marketing planning and sales transformation. She has led teams through the branding process and held roles in global advertising teams. 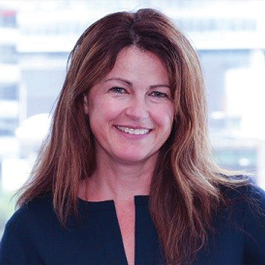 Recently, Sue worked with PwC Australia in their experience centre, to bring the best of their knowledge to the Canadian market. Tatiana is an accomplished global executive with 20+ years of multi-disciplinary expertise in strategy and implementation across healthcare, scientific research, education, government, and business organizations, which are consistently underlined by AI, big data and data analytics. 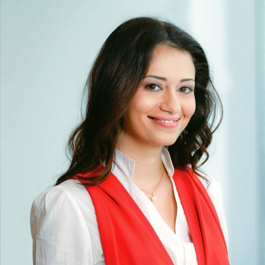 Tatiana serves as the Head of Operations & Strategic Partnerships for SOSCIP, a unique R&D data science consortium based in Ontario. Mr. Parnham brings a wealth of knowledge, experience and international contacts to Broadway and has over 30 years of experience in the mining and hydrocarbon industries. He has spent his career developing and founding several resource-focused companies, including but not limited to Temex Resources Corp., Forsys Metals Corp., Giyani Metals Corp. and Canoe Mining Ventures Corp. Mr. Parnham was also the founder and Chairman of UNX Energy Corp., a junior oil and gas company that was sold in 2011 to HRT Participações em Petróleo S.A. for CAD$730 million. 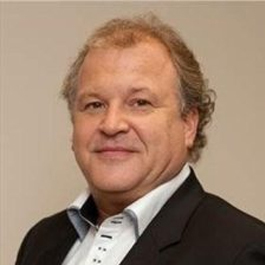 Outside of his role in Broadway, Mr. Parnham currently serves as the Chairman of Giyani Metals Corp., a battery tech raw metals company, as well the President, CEO and director of Canoe Mining Ventures Corp. 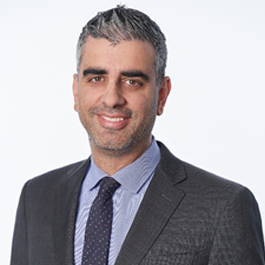 He specializes in finding, exploring and securing undervalued assets at an early stage and applying the wealth of knowledge, experience and skills he has gained in his career to create and maximize shareholder value. To date, this includes over C$1.2 billion in shareholder value for companies in which he has been directly involved. 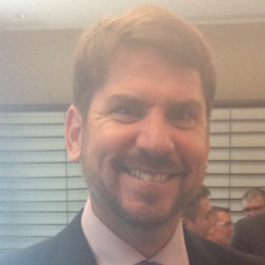 Dr. Tobias Frank is CTO at Vale, a Brazilian multinational diversified metals and mining corporation and one of the largest logistics operators in Brazil. 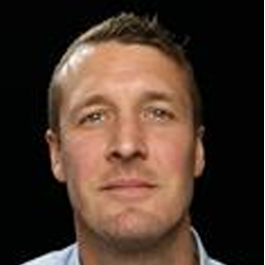 Before joining Vale in 2008, Tobias served in IT roles in Germany at Braun AG and subsequently in the United States at The Gillette Company, Procter & Gamble and Weyerhaeuser. Currently, Tobias is based in Rio de Janeiro, Brazil. He holds a Ph.D. in Physics from the University of Bonn, Germany where he worked as a senior scientist. Chris is an experienced change leader with a blend of international information technology, mining and capital project management expertise. He began his career in Southern Africa in information technology with various international banking and software organisations. He later joined Nortel Networks and worked in Europe and Canada. 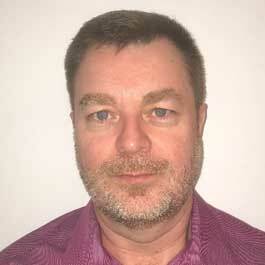 In 2008, Chris joined Barrick Gold and led their business process improvement program and subsequently joined their Capital Projects organisation with a focus on defining a methodology to ensure certainty of outcome for large projects by defining the business workflows and touch points in project studies and in project execution phases. Recently he provided consultancy to companies across the mining, legal and financial industries in defining business process improvement. 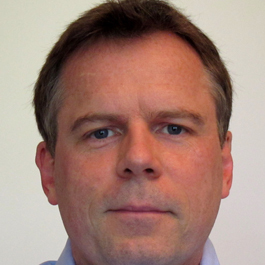 Chris currently leads Yamana Gold’s Innovation program. 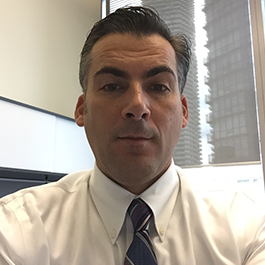 Patrick Sikka, P.Eng., is the Vice-President of Engineering for North America in the Mining & Metallurgy sector at SNC-Lavalin. Patrick is a Mechanical Engineer with 15 years of experience in mechanical design, materials selection and field engineering. He has worked on a variety of projects in the hydrometallurgical, pyrometallurgial and mineral processing fields. He has managed engineering teams in both project and functional roles ranging from 20 to 200 people in size. Patrick has worked internationally, most notably in Madagascar where he spent significant time as a field engineer on the Ambatovy Project. 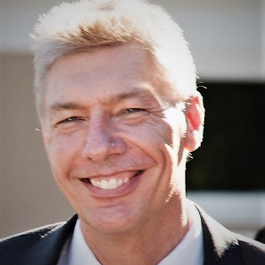 Johan Germishuys is a Design Technology Project Lead with SNC-Lavalin where he implements and supports the Smart Plant suite of Software (Smart Plant 3D, and Smart Plant P&ID) on a large scale project. With a wealth of knowledge in many computer systems, and numerous software applications, not only CADD based, but also in Document Management, Project Management and Engineering, he has acquired extensive workflow experience and great understanding of project structure. Johan began his career in South Africa, where he was actively involved in the development of new custom tools to support the SmartPlant integration and the implementation of SmartPlant suite of software for 3D models & P&ID designs. 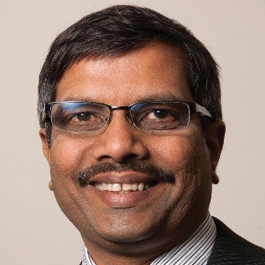 Abhi is a senior leader with over 17 years’ global experience leading complex technology transformations in resources, engineering and telecommunications sectors. He comes with strong experience in the delivery of technology solutions to integrate the supply chain and automate processes and equipment to accelerate productivity gains and drive operational costs down. Over the last 2 years, Abhi’s focus has been on the building blocks for industrial automation and integrated digital mine, delivering initiatives such as hybrid converged telecommunications, digitisation of operational data, to automation of heavy equipment. His delivery approach varies depending on the technology (Agile, Hybrid & PMI methodologies) and, as a life-long learner he is equipped with an array of industry certifications in Technology, Security and Program Management. 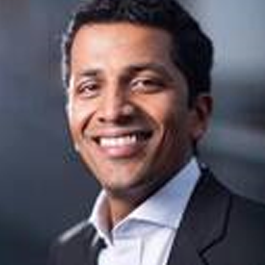 Arun Narayanan is the Group Head of Data Analytics at AngloAmerican since 2018. In this role, Arun is responsible for shaping and leading the implementation of Anglo American’s data analytics strategy. This strategy uses data science to further improve operational efficiencies and output of AngloAmerican, which in turn will help improve the profitability of the company, increase the safety of operations and reduce negative environmental impact. This is part of Anglo American’s innovative approach to sustainable mining, helping to shape the future of Anglo American and potentially change, for the better, how the entire mining industry operates. Previously, Arun was the VP E&P Data, Software Integrated Solutions (SIS). In this role, Arun is responsible for defining & implementing the strategy for E&P data for Schlumberger Software. 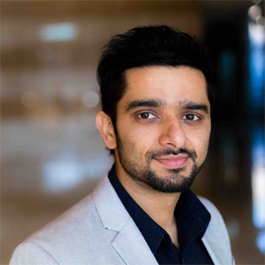 Arun was responsible for integrating asset-centric and corporate-centric data management workflows through current generation technologies and establishing a big-data platform, enabling end-to-end multi-domain workflows – leveraging data to enable workflows in the predictive analytics space. 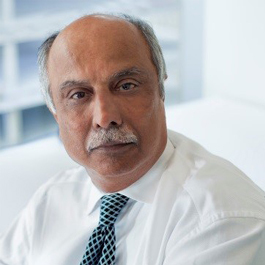 Arun joined Schlumberger in 1997 and has been instrumental in developing the software landscape of oil and gas software. Arun lead the team that developed oil-industry’s first cloud-based offering – INTERSECT in the Cloud – and drove development as SIS towards cloud, mobility, big data, and analytics. Arun has held various technical and management positions within Schlumberger in the US and in Asia. He has, in the past, been responsible for product design, development, and marketing. He also was the general manager for the software businesses in India and Malaysia. He has over 20 years of Oil & Gas experience. Arun holds a Bachelor’s degree from the University of Mumbai, a Master’s degree in Computer Science from Iowa State University of Science and Technology, and MBA’s from both the University of Houston and the University of Texas at Austin. Jason provides leadership for Hudbay’s international Information Technology teams and responsible for providing Hudbay with reliable, scalable, secure and cost-effective IT solutions. Jason has extensive experience as a Leader and with HudBay, specifically their IT infrastructure and system support services. 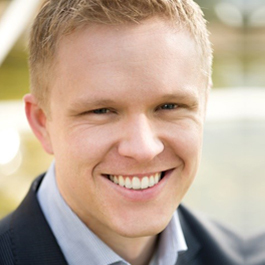 Jason previously served as multiple technical roles where he was responsible for leading the North American team of technical staff in the management of the corporation’s IT operations and support. He worked with business partners to ensure that the implemented technology aligned with the business objectives. Jason successfully managed multiple concurrent technology-driven projects, business units, employees, and vendor relationships. – Lead the implementation of multiple ERP implementations onto SAP ERP single global instance for multiple countries. 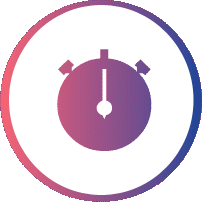 – Designed and implemented Active Directory Structure for mining operations in North and South America which are currently expanding and being used globally. – Championed IT service transformation for service delivery moving the IT organization to world class IT user satisfaction scores. 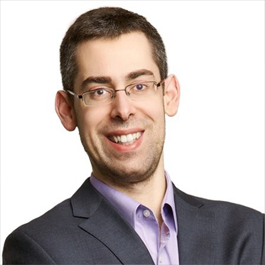 Michel is a Montreal based experienced leader in a wide variety of business applications and an extensive knowledge initiating and developing strategic business solutions with technology and business process design solutions. With over 14 years of experience he is results driven and customer focused with proven record of developing and executing business strategies that improve overall productivity and performance. Currently with Stornoway Diamond Corporation as Director of IT & DVM he is responsible for a wide variety of strategic initiatives such as digital transformation, governance and policies, resource allocation, continuous improvement and diamond value management. Stornoway’s Information Technology department provides service and support for delivery of IT infrastructure, information security systems and compliance, digital applications, administrative systems, telecommunications and client support. 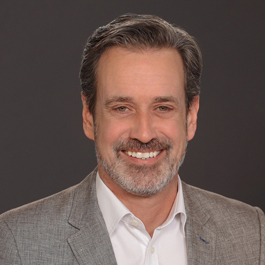 Prior to Stornoway Diamond, Michel has held various Senior Positions, notably as Group Vice President of IT with Nortek Air Solutions & as Vice President and Founder of HonokMedia. 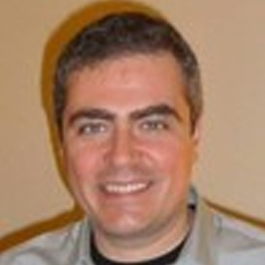 Michel has a bachelor degree in IT Engineering and is a Certified Professional in Scrum, ITIL and Lean Six Sigma Black Belt. 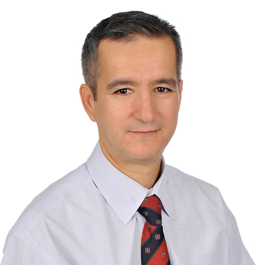 Bulent Demir is Information Technology and Telecommunication Professional with over 17 years of experience. He is Eldorado Gold Europe Regional Manager, being in charge of managing all Eldorado Gold Europe IT activities at country and acting as focal for the whole geographical perimeters. Offices, including mine sites in following countries under his radar. Turkey, Greece, Romania, Netherlands, Serbia and Russia. Bulent Demir has been in charge of number projects and covered assignments, within the Eldorado Europe, in the area of networking and telecommunication infrastructure, IT-OT System Integration and ERP implementation. He is currently working with headquarter in Vancouver and leading Group IT Strategy and Business Integration Management at Eldorado Gold. During this role, he achieved the fast adoption rate of new technologies, innovation and project management skills involving managing, developing and motivating teams. 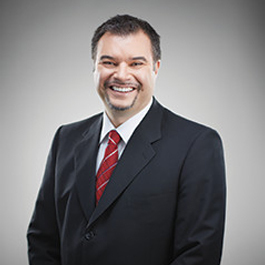 Bulent has a bachelor degree from Technical University of Istanbul, Electronics and Telecommunications Engineering. Before joining Eldorado Gold, he worked at Nortel Networks Istanbul where he participated in research and development phase for the biggest military communication project in Turkey. 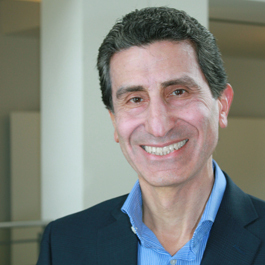 Bulent recently completed his Master of Business Administration program. 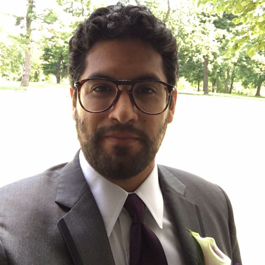 Diego Molina is Head of Business Development for North and South America at Open Mineral. Prior to that, he worked at Glencore for five years in Peru, Switzerland, and United States. 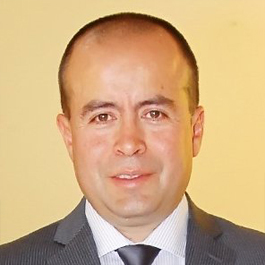 During his tenure, he assumed several roles such as zinc/lead trader for concentrates and secondary material, traffic, and oversaw blending and logistics operations in Peru. Prior to that, he worked in management consulting, specifically in logistics and cost optimization. Diego obtained his B.A. in International Relations and Political Science at Lehigh University. 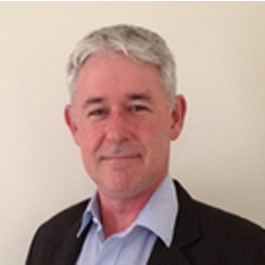 Matt Tuohy has been consulting in the Mining industry for over 15 years. Having worked at both Rio Tinto and BHP in software engineering and technology leadership roles largely focusing on industrial data acquisition, analytics, automation, geospatial data management and systems integration, Matt has a passion for innovation in heavy industry and understands the challenges associated with change. Now with Amazon Web Services, as the Worldwide Business Development Head for the Mining and Resources vertical, Matt works with the largest resources companies in the world providing technical and thought leadership, helping them disrupt and transform their businesses. Matt drives the overall AWS market and technical enablement strategy for the vertical; presenting to key customers and partners on innovation and cloud strategy; speaking at events especially on Future Mining, Innovation and Culture; driving designs for scalable architectures to help businesses retire code, eliminate waste and focus on their goal; and helps build an ecosystem of innovators and entrepreneurs to revitalize the Mining and Resources industry. Alan Preston is the Global Practice Partner for the Asset & Worker Productivity Practice within Wipro’s Energy, Natural Resources and Utilities industry vertical. Alan has over 30 years experience delivering consulting services and implementing value-added solutions for major global clients across these industries. 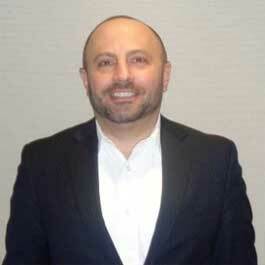 He has a strong record of leveraging IT, applications and engineering solutions to deliver business benefits to customers and is currently focusing on digital transformation and value capture in the areas of Asset Performance Management, the Digital Field Worker, IT/OT Convergence, Analytics for Operations, Predictive Maintenance. Prior to Wipro, Alan held a variety of roles including strategic consulting, industry marketing, application development, sales management and global account management. Leon has over 30 years of experience in the IT industry, which includes over 20 years in the Mining, as well as 4 years as a geologist. Leon has a leadership role in advising and shaping Wipro’s digital vision for mining, which is focused on the asset performance, agile operations, next-gen sustainability and digital capital projects. Leon is also responsible for shaping and leading the digital mining transformation for Wipro clients. 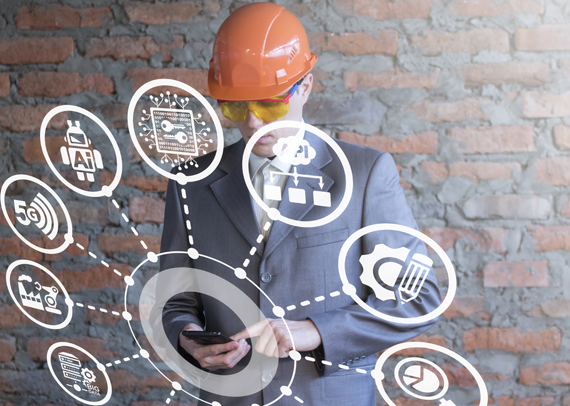 Leon has enabled organisations to take the steps to transform their organisations by integrating their business strategy with the capabilities of new digital technologies to reshape their mining organisations. Leon hold a Bachelor of Business, majoring in Computing from Queensland University of Technology, as well as .a Bachelor of Science with Honours majoring in Geology. Leon is also member of the CIM and PDAC. Leon actively been involved in steering committees on digital mining initiatives with Austmine and GMG. 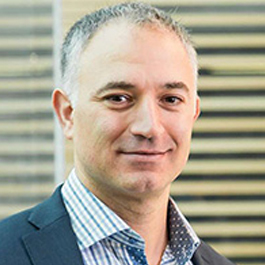 Dr. Dessureault founded MISOM Technologies Inc., a technology company that developed the Field Analysis and Reporting Application (FARA) that brings together the Internet of Things (IoT) sensors, a tablet-based mobile app, and modern approaches such as big data and gamification to create an innovative form digitization and fleet management system platform. MISOM also provided data integration and advanced analytics services focused on turning data into action (www.misom.com) (http://fara.misom.com/en/home/). In late 2017 MISOM was acquired by of Mine Site Technologies Global (MST), a leading provider of mine communications networks and operational productivity solutions in the mining, resources and industrial sectors. He currently holds the title of Chief Innovation Evangelist. Dessureault holds an associate professorship at the University of Arizona, engaged in applied research related to the integration and effective use of modern mining information systems. He directed the Mine Intelligence Research Group (MIRG) laboratory, having data warehouses from over twenty mines, an integrated control room for distance control of mines with real-time data streams from mines throughout the United States, and cloud as well as local servers to implement big-data research on industrial data sets and sustainability/social media data. (www.mirg.arizona.edu). Dr. Dessureault has been on leave from UA since 2015, to focus on MISOM. 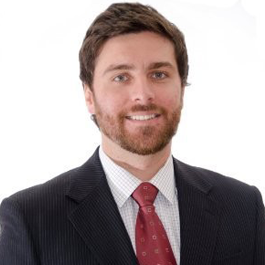 Dr. Dessureault was awarded the Foundation of the South West American Mining Hall of Fame Medal of Merit under 40 for his entrepreneurial and academic work supporting the technological transformation of mining. Marcus is Manager of the Innovation & Prosperity Office at Centre for Excellence in Mining Innovation (CEMI) in Sudbury, Ontario. In this role, he leads CEMI’s Smart Mining program, which supports underground mines in the demonstration of innovative digital solutions from Canadian small-to-medium enterprises. This includes providing functions such as project definition, technology scouting, engaging funding agencies, and recruiting project partners. The goal is to create connected, interoperable solutions that improve mining productivity, safety, and sustainability while advancing guidelines and standards. Before CEMI, he has been a General Manager and Business Development Manager in industrial, corporate software, telecommunications verticals. He holds a bachelor’s degree and is pursuing a Master’s in Business Administration at Laurentian University. 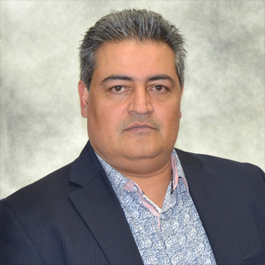 Mr. Kashyap is the Mineral Resource Specialist for Government of the Northwest Territories. 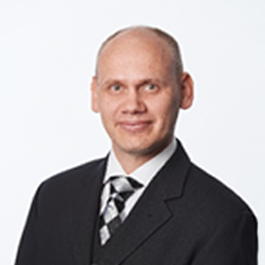 He is based in Yellowknife, Canada and is involved in all areas of the GNWT’s mining investment activities, with particular emphasis on advancing precious metals, base metals and diamond mining projects in the region. During his tenure, De Beers Canada Inc. and Mountain Province Diamonds Inc. opened world’s biggest, newest diamond mine (Gahcho Kué mine) with capital costs C$1.01 billion. Prior to this, Mr. Kashyap has worked for Emerald Technology Ventures, Toronto – one of Canada’s largest clean technology venture capital funds, investing in early to mid-stage technology companies with focus on energy, smart grids, water and advanced materials. 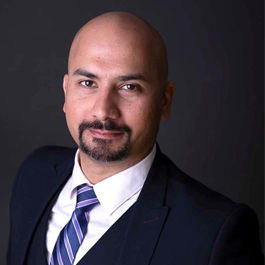 Mr. Kashyap holds a Master of Business Administration from Vancouver Island University, Canada and Master of Science (International Business) from University of Hertfordshire, UK. He has a bachelor degree in Mechanical Engineering from VTU, India. Mr. Ashraf is the Executive Advisor at Everest Professional Services and & PTAG Inc, since January 2018. Prior to that he was the Executive Advisor and Chief Executive Officer and a member of the Board of Directors at Uranium One Inc, position he has held since April 2015. Previously, he served as the Executive Vice President and Chief Operating Officer of the Corporation since March 2014. Mr. Ashraf has over 35 years of experience in the resource sector, including mining and metallurgy, oil and gas, and related downstream industries. Uranium One is amongst the top 5 uranium producers globally and a recognized leader in the field. 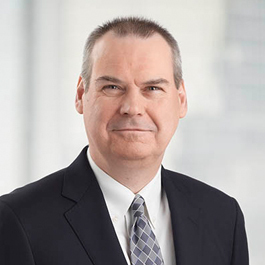 While at SNC Lavalin, he was EVP and member Office of The President responsible for the worldwide operations of over 6,000 employees and for executing numerous projects in over 30 countries. He held over 15 directorships and board positions within SNC-Lavalin affiliates, joint ventures and project alliances. 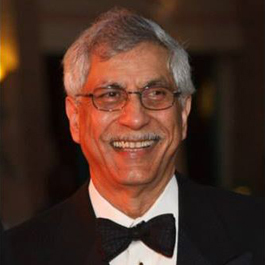 Mr. Ashraf also served as a non-executive member of a number of professional, industry and community associations. He is an active member of the Ordre des Ingénieurs du Québec (OIQ) and the Professional Engineers Ontario (PEO). Mr. Ashraf was a guest lecturer in the Global Mining Management Program of The Schulich School of Business at York University (2014 – 2018 Winter MBA program), and a lead lecturer in the Certificate of Mine Management course “Mining in the Global Environment” at the G. Raymond Chang School of Continuing Education at Ryerson University (Winter 2014 and Fall 2015 programs). Oscar is Lundin Gold’s IT Manager for the Fruta del Norte Project, the first large-scale underground Gold mining development in Ecuador. Prior to Lundin Gold, Oscar has been supporting major large scale Mining Projects in Suriname, Madagascar, Ghana and Peru where he has been focused on effectively managing and transitioning multi-cultural Information Technology Teams from supporting Engineering & Construction phases to sustainable Production. Oscar is a firm believer that the success of IT is the result of commitment, accountability, teamwork and respect of the local cultures and traditions where global mining companies operate. With nearly 30 years in the industry Andy has gained a wealth of experience in the industry as a Team Leader, Shaft Geologist, Divisional/Chief Geologist, Exploration Manager, Project Manager, Country Manager, Head of Department, Corporate Business Manager, Director and more recently as the CEO of the Cobalt Power Group. He has worked in a variety of commodities, ranging from Gold to PGE’s and Silver on the precious metal side, Copper and Nickel (base metals), to iron ore and thermal and coking coal (bulk commodities) and more recently in Cobalt (battery raw materials). As part of a multi-disciplinary team, he has assessed and technically reviewed capital projects within Anglo American for more than 10 years, and has been on the board of Spectrem (an Anglo-American Company) as Technical Director. Before joining the Vancouver-based Cobalt Power Group as President & CEO, he investigated new business opportunities worldwide for Hochschild Mining plc. 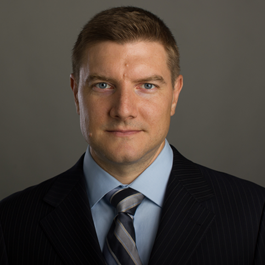 As CEO & Chief Strategist at CyberSC, Dominic Vogel holds a proven track record within cyber security across multitude of industries (financial services, logistics, transportation, healthcare, government, telecommunications, and critical infrastructure). 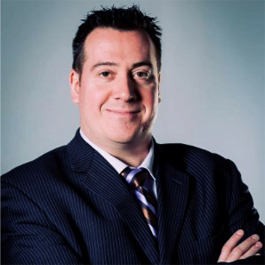 Dominic actively participates in the Vancouver security community and is a well-respected cyber security expert for Global BC, CKNW980, News1130, and the Vancouver Sun. 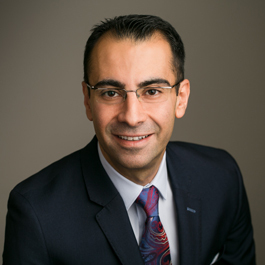 Dominic is highly regarded as a cyber security thought leader and was recently appointed to the BC Provincial Cyber Security Advisory Committee. 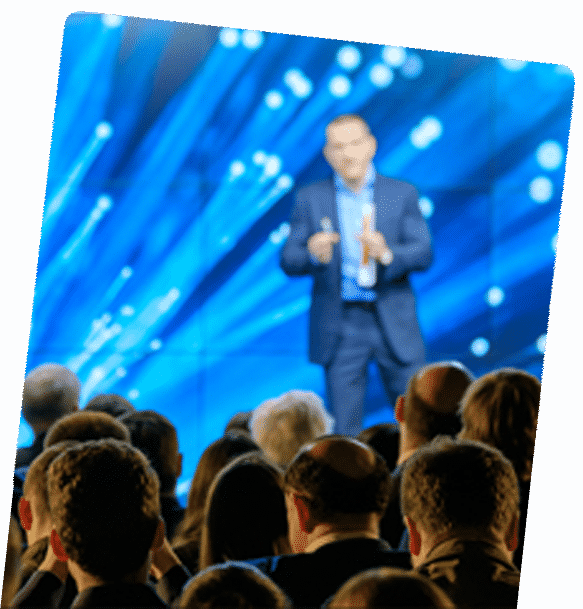 Dominic has performed as a keynote speaker at high-profile conferences and events across North America including RSA Security, Cyber Security Summit West, NYIT Cyber Security Symposium, and InfoSec World. Dominic focuses much of his energy on providing strategic security leadership to technology start-ups and small/midsize businesses to proactively solve their cyber security challenges. He strives to provide practical cyber security advice to his clients and actively turning the security consulting world upside down. 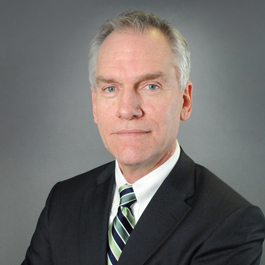 Ralph Loewen is the founding President and CEO of Itergy, founded in February 2001. 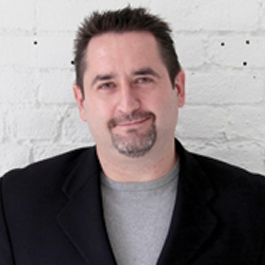 Ralph’s strong leadership, managerial and communication skills have led Itergy through 17 years of consistent growth, from start-up to its current size with offices in Toronto, Montreal and in the UK. 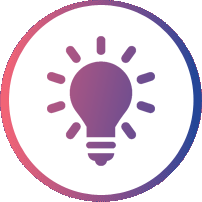 Ralph brings together both a solid entrepreneurial business background and an ability to relate and explain the benefits of technology for today’s business challenges. Itergy, as a Microsoft partner, seeks to partner with its customers to achieve their business goals by maximizing their technology investments. 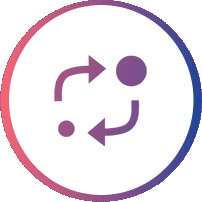 Itergy has developed a global reputation for its migration and consolidation projects with Active Directory at the center – whether driven by the Cloud (such as migrating to O365, Azure, etc. ), M&A or other business needs. Today Itergy is focusing on assisting companies to benefit from a Digital Workplace as a Service, empowering IT and OT teams to work together seamlessly, securely, and intelligently. On a personal note, Ralph is a board member for Welcome Hall Mission, including six years as the Chairman. Welcome Hall Mission, established in 1892, has become the largest doorway to help Montrealers in need. For example, they operate the largest food bank in the city and offer emergency shelter to over 200 men daily to ensure no one is left in the cold and without a warm meal. With over 130 employees this has become an essential pillar of the community. Ralph is also an avid cyclist, participating in long-distance Randonneur events throughout the world. Dan Schmelzer is an IT executive with over twenty-five years of experience in IT application development and operations. 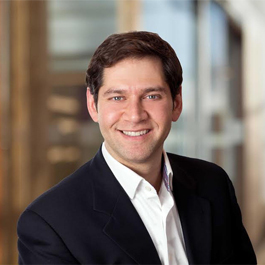 Dan holds a Computer Science degree and an MBA degree from the University of Toronto’s Rotman School of Management. 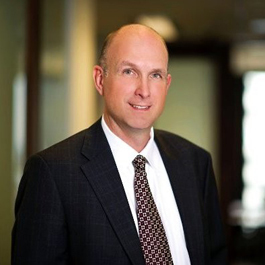 Dan has held leadership positions in IT for the natural resources and utilities sectors having worked for global organizations such as Vale SA, ShawCor, Enbridge and Ontario Hydro. 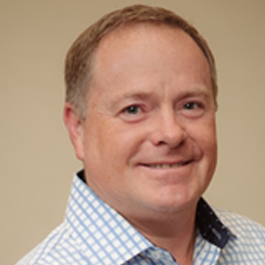 Since Jan 2016, Dan is leading the IT function at Detour Gold Corp.
Richard has 25+ years in various leadership roles at analytics technology companies such as SAP Business Objects, MicroStrategy, Oracle Endeca and Connotate. Hilton Barbour is an independent Consultant fascinated by the intersection of Culture and Digital Transformation. Author of a popular series of Culture ebooks, he’s interviewed many of the world’s leading organizations to understand the impact of Digital Transformation on Culture – and vice versa. From his interviews with organizations such as Microsoft, Southwest Airlines, Coca-Cola, Starbucks and others, Hilton has a strong belief that Culture has a profound impact on how organizations are able to adapt and evolve to the myriad of changes a Digital Transformation requires. In his view, Culture is an organization’s most sustainable competitive advantage. 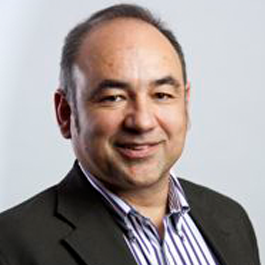 Xavier was an IEEE Distinguished Lecturer and has delivered over 40 invited talks and keynote speeches around the world. He has co-authored close to 150 research articles and holds three patents (one pending). He is the Sole author of the book, ‘Radio over Fiber for Wireless Communications: From Fundamentals to Advanced Topics’, IEEE Wiley in 2014. He was a member in the IEEE COMSOC Education Board Working Group on Wireless Communications. He was a finalist for the Top 25 Immigrant Award of Canada in 2012. He joined Ryerson in 2001 and, received early tenure. “SMART MINING 1.0” offers you the chance to put your solutions in “Spotlight” and gives you the opportunity to do business with some of the most prestigious organizations in North America. 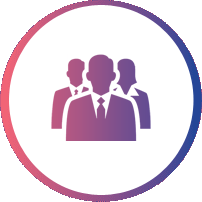 iKonnect provides many different platforms for cutting-edge solution providers to increase their market share and awareness to their target audience by leveraging different partnership opportunities. With extensive Networking & Partnership options available, packages can be tailor made to suit your business development pursuits. Avail a Group Discount! If you wish to register a group of 2 or more persons, please mention code GRPSM1 in your email subject line when sending your booking confirmation to us. Itergy helps Resource companies solve their IT business problems and achieve positive measurable results with Microsoft Cloud and Infrastructure Solutions. As a top Microsoft Cloud and Infrastructure Partner, Itergy offers both Managed and Professional Services to help companies focus on their core business and less on the complexity of their Cloud, IT on-premises or Hybrid Infrastructure. Areas of specialization include Digital Workplace (Microsoft 365 and Office 365), Azure, IaaS, Azure Active Directory Identity, and Managed Services for Cloud-based Technologies. Open Mineral (OME) is a cloud-based exchange that simplifies trade and execution of metal concentrates (e.g. zinc, lead, copper) by streamlining the process and eliminating the intermediaries. On OME platform buyers and sellers of the physical commodities can conduct direct transactions and have full oversight over the trading processes, including the creation and comparison of offers, deal negotiation and closure. We help our clients to find the best commercial offer globally and increase their profitability. Trade execution services such as freight, financing, insurance, sampling and assay analysis can be requested by the clients with one simple click. How can we make decisions today that will ensure a successful tomorrow? At PwC, we're focused on helping mining companies navigate the digital challenges the industry is facing and how their businesses can evolve to overcome these challenges. We believe there are options for every mining company in today's market. We'll help you explore and evaluate these options— from machine learning to digital operations and supply chain, all focused on optimizing asset value. Canadian Mining Magazine, published three times per year, is a major voice in the mining industry in Canada. Its content is contributed by mining experts, giving the publication a unique "For Industry, By Industry" structure that guarantees the content is accurate, timely and interesting. The magazine is direct-mailed to members of Canada's mining industry across the country, and it is also widely distributed at both Canadian and international trade shows and events. International readers can read all issues (including the latest) online for free. Each issue includes in-depth coverage of Canada's mining industry, highlighting the overall sector, specific regional activity, new technologies being used, short- and long-term forecasts, investment opportunities, government initiatives/programs, human resource and training essentials, and current activity at the junior and established level. Along with the print magazine, our audience follows our Facebook site ( www.facebook.com/CanadianMiningMagazine), which publishes mining news relevant to the Canadian industry several times each day. Join our network to stay current on the latest industry developments in Canada, and that affect Canadians doing mining business abroad. Since our beginning in 2014, WWR has grown into a well-known and respected organization within the mining industry with more than 800 active and diverse followers in Canada. With male and female members from the mining companies, academia, not-for- profit organizations, legal firms, consulting firms, supply and service industries, WWR has become a key stakeholder and has spearheaded innovative changes to improve the image of our industry. 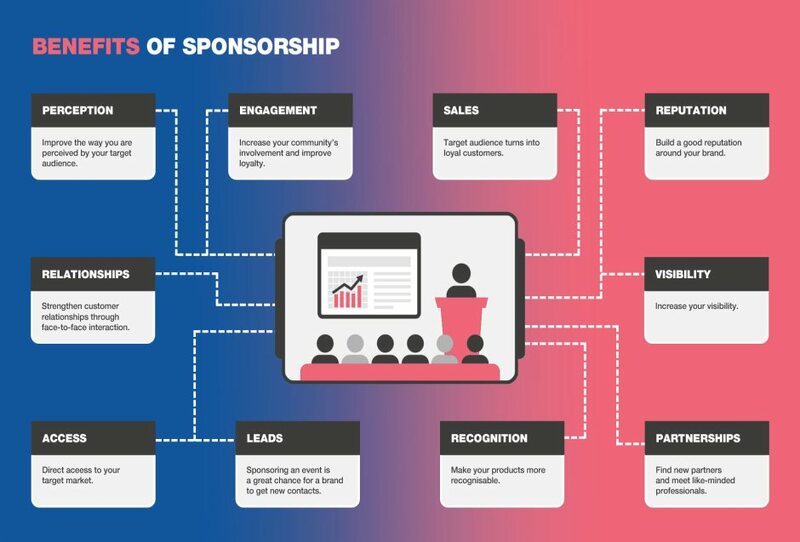 Through collaboration with industry partners and our commitment to showcasing unique events, we have ignited curiosity and connected aspiring women to leaders in the sector. We continue to be an integral part of the industry's efforts to attract, develop and retain women in mining. We continue to lead the way forward, with a strong commitment to empowering women and to improving gender diversity through positive change. Launched in 2012, SOSCIP's mission is to pair industry with academic researchers and advanced computing tools to fuel innovation in Canada. SOSCIP is a ground-breaking collaboration between Ontario's research-intensive post-secondary institutions, IBM Canada Ltd., Ontario Centers of Excellence (OCE) and dozens of small- and medium-sized enterprises (SMEs) across the province. 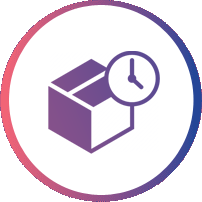 Stratalis is a global strategy and innovation consultancy focused on helping the world's leading companies to become future-focused and develop the foresight, flexibility and focus to outperform in uncertain markets. We collaborate to develop growth strategies and innovation execution around business, operating and organizational models to deliver increased profitability, improved efficiency and superior return on investment for our clients. Founded in 1911, SNC-Lavalin is a global fully integrated professional services and project management company and a major player in the ownership of infrastructure. From offices around the world, SNC-Lavalin's employees are proud to build what matters. Our teams provide comprehensive end-to-end project solutions – including capital investment, consulting, design, engineering, construction management, sustaining capital and operations and maintenance – to clients across oil and gas, mining and metallurgy, infrastructure, clean power, nuclear and EDPM (engineering design and project management). On July 3, 2017, SNC-Lavalin acquired Atkins, one of the world's most respected design, engineering and project management consultancies, which has been integrated into our sectors. Hitachi Solutions America, Ltd. is a business application consulting firm and trusted provider of vertical industry solutions built on the Microsoft Cloud. We are passionate about helping mining companies successfully compete and thrive, using powerful, easy-to-use, and innovative Worker Safety Solutions enhanced with world class IoT, Mobility, Business Analytics, Portals, and more.